1Not available with special finance or lease offers. See dealer for details. 2Disclosure: *Prices shown on this site may include rebates and other discounts which are not compatible with alternative financing options, dealer not responsible for unintentional typographical errors or computer system errors. Please contact us for full details on all offers. Tax, title, license and dealer fees (unless itemized above) are extra. Not available with special finance or lease offers. 3Disclosure: *Prices shown on this site may include rebates and other discounts which are not compatible with alternative financing options, dealer not responsible for unintentional typographical errors or computer system errors. Please contact us for full details on all offers. Tax, title, license and dealer fees (unless itemized above) are extra. Not available with special finance or lease offers. 4Not available with special finance or lease offers. See dealer for details. 5Monthly payment is $13.89 for every $1,000 you finance. Average example down payment is 4.5%. Some customers may not qualify. Not available with leases and some other offers. Take retail delivery by 4/30/19. See dealer for details. Catch the new GMC Terrain at our dealership, Bob McCosh Chevrolet Buick GMC Cadillac, near Moberly. The inside of this vehicle feels trendy, and boasts of several features, which will make you feel at ease. A floating roof as well as a wonderfully toned body raises the visual appearance of the GMC Terrain. The standard airbags packed up into this SUV, improve its safety level and keep no scope for doubts. 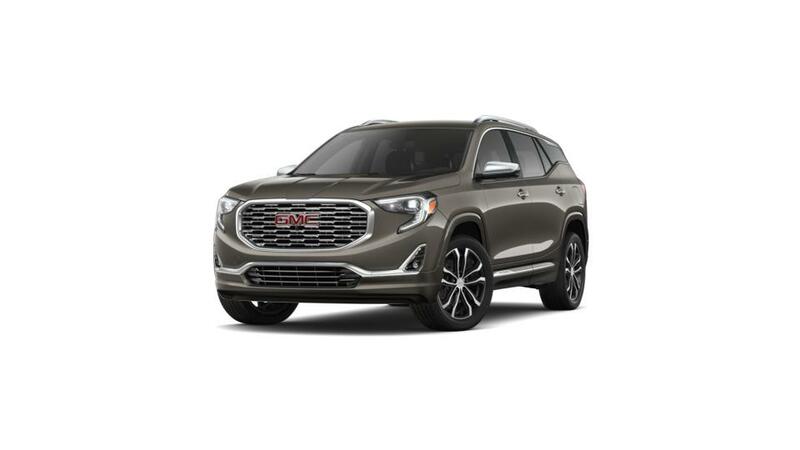 Together with the option of three distinct turbocharged engines to choose from, the GMC Terrain isn't any short of capability and all round performance. A good easy-to-use infotainment system lets you remain connected to your near and dear ones, all through the drive. See above for additional details, or contact us at (573) 355-9946 to know more about buying or leasing a new GMC Terrain in Columbia.